FILE - In this Dec. 13, 2016 file photo, an Uber driverless car is displayed in a garage in San Francisco. Uber Technologies Inc. suspended its pilot program for driverless cars on Saturday after a vehicle equipped with the nascent technology crashed on an Arizona roadway, the ride-hailing company and local police said. 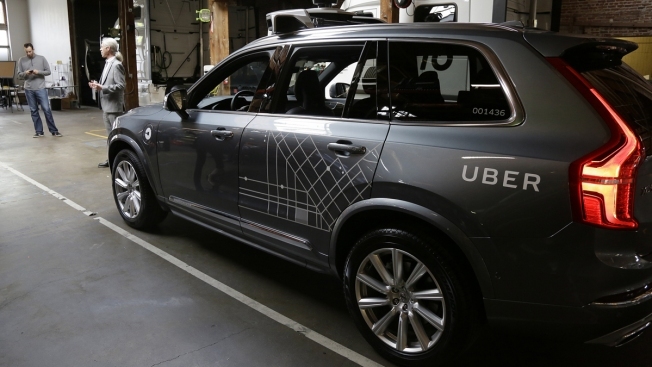 As Reuters reports, the accident, the latest involving a self-driving vehicle operated by one of several companies experimenting with autonomous vehicles, caused no serious injuries, Uber said.